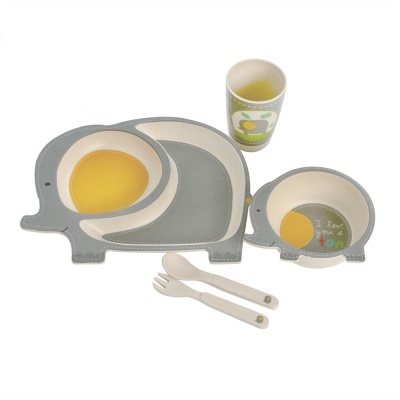 A wonderful kids bamboo fibre dinner set in a cute elephant design. This high-quality 5 piece set includes a dinner plate, bowl, tumbler, fork and spoon. A wonderful kids bamboo dinner set in a cute Elephant design. 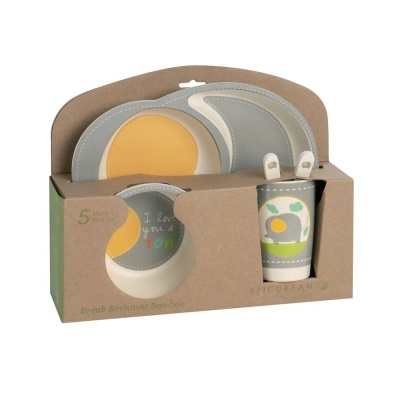 This high-quality 5 piece set includes a dinner plate, bowl, tumbler, fork and spoon.